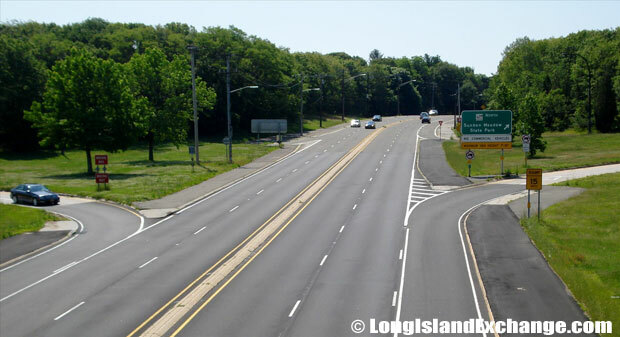 Route 25A, commonly known as NY 25A, is located in Long Island New York. 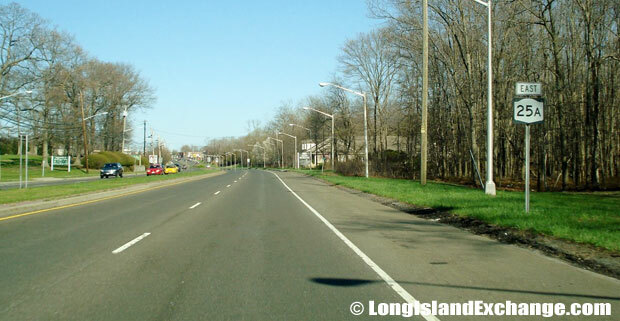 This state highway travels in a east to west direction for the majority of the North Shore of Long Island. 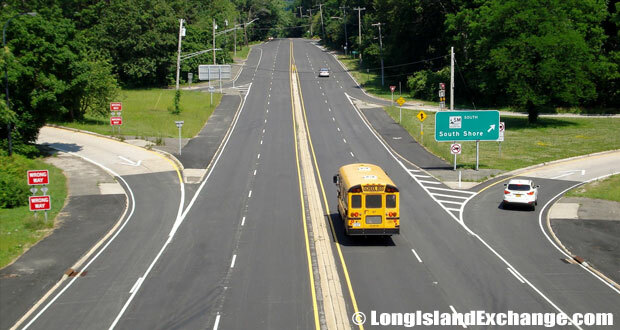 It covers a distance of 73 miles from Queens to Calverton in Suffolk County and also serves as a northern bypass for NY 25 (Jericho Turnpike). 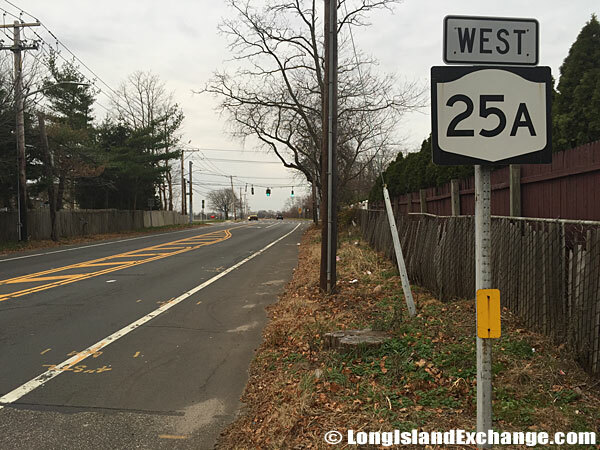 Route 25A offers a scenic path as it travels through popular areas such as Brookville, Fort Salonga and Centerport. The route has been given numerous names along its path, including Northern Boulevard, North Hempstead Turnpike and Main Street, among others. 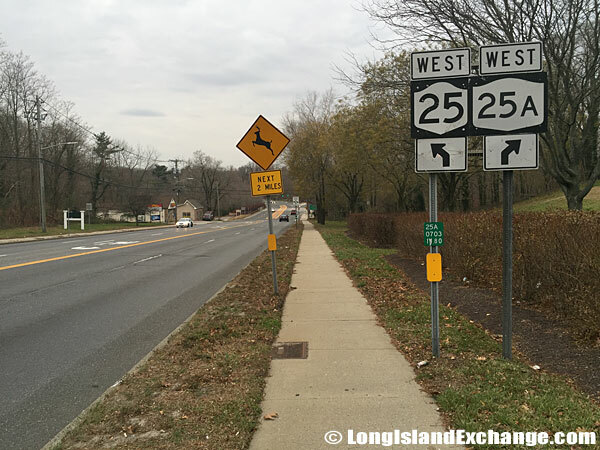 Route 25A westbound in Smithtown near the Bull where 25 and 25A intersect and then separate again. Route 25A Eastbound from North Country Road, Sound Beach. Route 25A Eastbound from Patchogue-Mount Sinai Road, Mount Sinai. 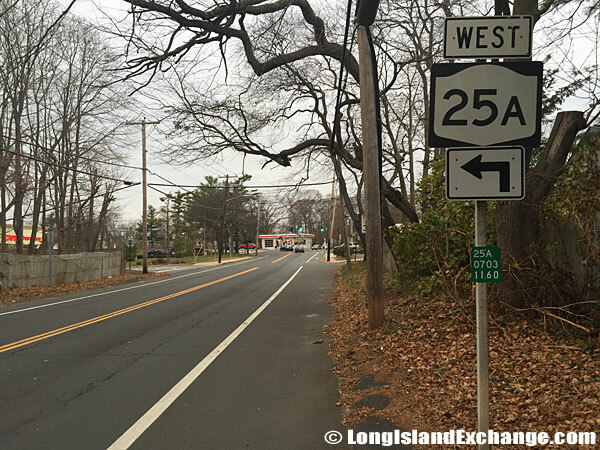 Before the original road in Suffolk County was turned into Route 25A, it required realignment and straightening in many locations. The modern part of the highway that is located east of New York City became a part of Route 25 during the 1920s. By 1930, the highway was extended southward and eastward and during 1930, the state highways were renumbered and at this time, part of Route 25 and Route 25A were interchanged. Route 25A in Kings Park just east of the Kings Park High School which is at the intersection ahead. Route 25A Eastbound towards Randall Road, Shoreham. Route 25A Westbound from Bread & Cheese Hollow Road, Northport. Route 25A starts at Interstate 495 (Long Island Expressway) in Queens and travels through many intersections, including NY 25, I-278, I-678, I-295, NY 101, NY 107, NY 106 and NY 108. It proceeds through numerous towns and cities, including Long Island City, Jackson Heights, Corona, Bayside and Woodside. Route 25A Westbound from Sunken Meadow Parkway, Fort Salonga. Route 25A Eastbound from Sunken Meadow Parkway, Kings Park. 25A in Smithtown approaching the Kings Park area towards the west and San Remo straight ahead. The highway extends from 2 to 4 lanes and passes through various places of interest, including Flushing Meadows Corona Park, the Miracle Mile shopping area, the New York Institute of Technology, the C.W. Post Campus of Long Island University, Sunken Meadow State Park, Stony Brook Museum and Mount Sinai. It also passes through New York State Bicycle Route 25A.